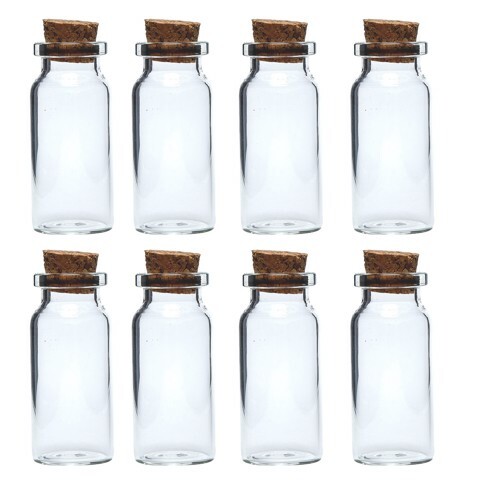 Glass Mini Jars Cork Lid 6Pk . Bottle Size: 5 x 2cm. Clear with Cork Lid. Glass | Cork. 56G Packaging: Blister Card.